Almost an hour ago, the new beta release of Opera 31 web browser has been announced. It’s available for download and testing now. Opera has been a popular web browser and this new release is having exciting new features and ton of bug fixes. Opera has been known for its speed and consistency, Let’s review its prominent features and installation process on Ubuntu 15.04. Here are some prominent features of this new beta release. The installation process for Opera Beta 31 is pretty simply, launch your ubuntu system terminal and run following command to download the beta version. Once download is complete, run following command to install it. Opera is customizable and user friendly web browser, the new features adds many enhanced features and is worth a try. 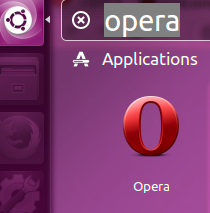 Check out Opera official Notification for further details of this release. Currently only 64 bit installer is available for download.